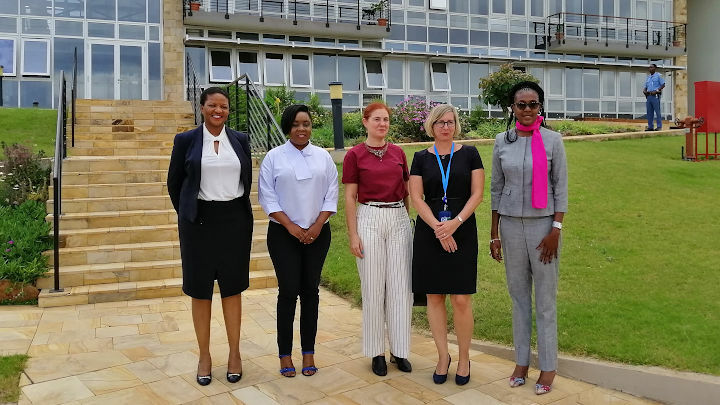 On Monday, 28 January 2019, the International Residual Mechanism for Criminal Tribunals (Mechanism) received a visit from the Ambassador of the Kingdom of Spain to the United Republic of Tanzania, Her Excellency Ms. Francisca Pedrós Carretero, at the premises of the Mechanism’s Arusha branch. The Representatives from the Mechanism’s three organs warmly welcomed Ambassador Pedrós Carretero, providing her with an overview of the functions and structure of the Mechanism, and thanking the Government of the Kingdom of Spain for its continued support to the Mechanism and its work. The Ambassador thanked the Mechanism’s representatives for their hospitality and reiterated the Government of the Kingdom of Spain’s full support to the important work of the Mechanism, and to international criminal justice more broadly. The Ambassador expressed her particular appreciation to the efforts being made by the Mechanism to fulfill its mandate with the limited resources it has. As part of her visit, Ambassador Pedrós Carretero toured the courtroom and the library of the Mechanism.